Done, undone, or not done? 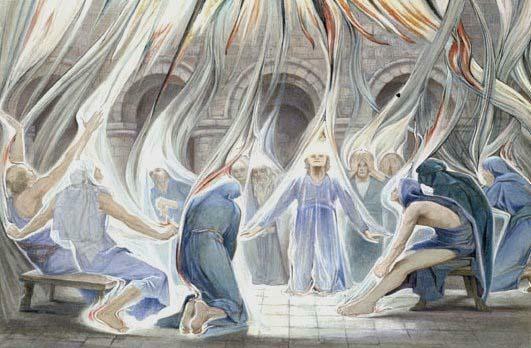 Spirit came to the early church in mighty power. So how’s it going in the 21st Century? –Has the contemporary church replaced the presence and power of Holy Spirit with a program and a preacher’s performance? –The “Dones” are people who have given up on the traditional church format. –The “Undones” are people who are overcome and overwhelmed by the presence and power of the Holy Spirit. 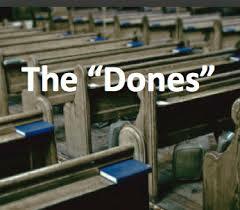 –The “Not-Dones” are people who are still trying to hang with the program. Check out my new book, Beyond Church — An Invitation To Experience The Lost Word Of The Bible — Ekklesia; available at Amazon. This entry was posted in church programs, Colorado, contemporary church, Future of the Church, I am undone, Isaiah, Isaiah 6:5, Loveland, my eyes have seen, nones, organized religion, Pentecost, people of unclean lips, prophet, Woe is me and tagged Christianity, Christianity in decline, church, Dones, leaving church. Bookmark the permalink. 2 Responses to Done, undone, or not done? Awesome rebuttal to the label “done”! I have read serious Christian articles using that label and reasons why leaders need to get “dones” back into “church” but not one of them takes a serious look at why people are leaving; Church is boring (yet God is amazing! ), they are stagnant in personal growth, questioning why we “do church” like we do instead of what it looks like in the bible or they feel like leaving traditional meetings is the only way to preserve their faith. Anyway, I am glad to called “undone” and the only thing I’m done with is boredom. 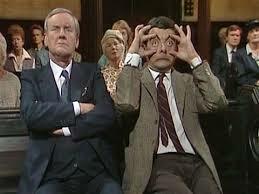 BTW love the Mr. Bean pic, that picture is truly worth a thousand words! Thank you, Paul. I think we have forces some of the most spiritual people out of church because of our unwillingness to be led by the Spirit rather than tradition!